Researchers in the School of Biological Sciences at Bangor University studied venom and salivary glands, together with other body tissues from a range of venomous and non-venomous reptiles to identify the evolutionary processes underlying the origin of snake venom toxins. Writing in in the journal Genome Biology and Evolution, Bangor PhD student Adam Hargreaves and his supervisor Dr John Mulley, together with colleagues at the Wellcome Trust Sanger Institute and the Institute of Biological, Environmental and Rural Sciences at Aberystwyth University show that the proteins in snake venom which are responsible for injury or death following bites are derived from proteins normally expressed in a wide range of body tissues, not just the venom or salivary gland. 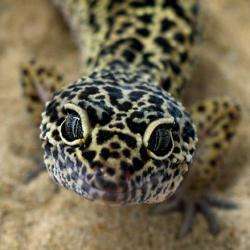 The genes encoding these proteins have been duplicated at some point in the past and one of the resulting copies has been restricted to the venom gland, where natural selection has acted to develop or increase toxicity. This differs from the long-standing hypothesis that venom proteins are "recruited" from body tissues, in the sense that these proteins are already expressed in the venom or salivary gland prior to becoming toxic. Adam Hargreaves explained: "Our work shows that genes which have gone on to duplicate and mutate to produce venom toxins were ancestrally expressed in lots of body tissues, including the salivary gland of non-venomous reptiles. This is different to the previously accepted idea that the genes were recruited from different body tissues to the venom gland. Our results give us a new insight into how venom toxins evolved in reptiles which we can use as a starting point to better understand the origins of this remarkable evolutionary adaptation, and also to aid research efforts into developing better treatments for victims of snakebite."